The Mission of the Alabama State Council on the Arts is to enhance the quality of life and economic vitality for all Alabamians by providing support for the state’s diverse and rich artistic resources. The purpose of the Alabama Arts License Tag Grant Program is to promote the arts in Alabama, especially arts education, including fine arts, dance, folk arts, drama and music. I applied for grant on behalf of Yonder Contemporary Dance Company for our tour of the state and region. The College of Arts and Sciences Leadership Board Faculty Fellowships recognize the College’s most promising or most accomplished teacher/scholars, individuals early in their careers who demonstrate exceptional promise or faculty members who have brought distinction to the College and University throughout their careers. Three fellows are selected each year, one from each division representing arts and humanities, natural sciences and mathematics, and social sciences. Fellowships support faculty in their research and development for three years, with a current award rate of $5,000 per year. The Mission of the Alabama State Council on the Arts is to enhance the quality of life and economic vitality for all Alabamians by providing support for the state’s diverse and rich artistic resources. The Council awards Artist Fellowships of $5,000 for artists working in crafts, dance, design, media/photography, music, literature, theatre and the visual arts. I was awarded $15000 through the National Endowment for the Arts American Masterpieces: Dance Grant, which helps colleges and universities restage, perform, and document significant works from American dance history in order to provide students with access to the legacy of our own traditions. 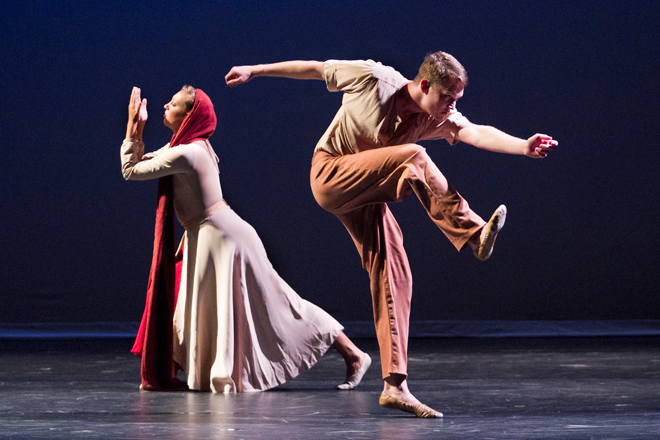 “There is a Time”, originally choreographed by Jose Limon in 1956 was restaged by former Limon dancer Clay Taliaferro for the Alabama Repertory Dance Theatre Spring 2011 concert. Our goal within the Alabama Repertory Dance Theatre is to expose students to these classic dance works, while also setting new choreography on them, thus allowing the students the opportunity to perform numerous styles and work with a variety of choreographers. The dance is based around the passage from Ecclesiastes Chapter 3 and uses the concepts of cycles and circles to display many aspects of the human experience. Clay Taliafero, former Limon company dancer, came in February 2011 to work with our dancers to teach Limon technique and set the work on select company members. We also hosted a film showing of the Jose Limon documentary entitled “A Life Beyond Words” to help introduce the public to the life and works of Jose Limon before the ARDT concert. Additionally, Mr. Taliaferro gave lectures in the dance history class to explain the evolution of Limon technique and repertory. A final component of the grant was taking excerpts to Arcadia and Oakdale elementary schools with a lecture-demonstration to Kindergarten through 3rd graders to teach them about the dance and the choreographic and emotional ideas within the work. The University of Alabama Department of Theatre and Dance presents The Dance COLEctive (TDC) in “Written on the Body” on April 8, 2008, at 7:30 pm in Morgan Auditorium. “Written on the Body” is a work that uses the story of the Brontë sisters to explore gender roles by challenging society’s current perceptions of gender and stereotypes and addressing public and critical literary expectations of female writers in 19th Century England. 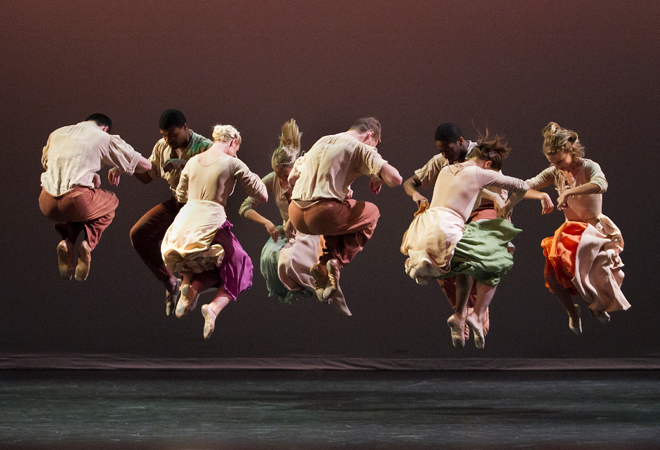 Artistic Director Margi Cole created a parallel process that used both men and women to develop the movement vocabulary and worked with a composer and videographer to create an original score and video elements for the piece. TDC’s residency is a special event that has been added to the Theatre and Dance 2007-2008 season. Residency activities will take place on April 7 and include a Movement Workshop for dancers and a Community-wide Lecture. 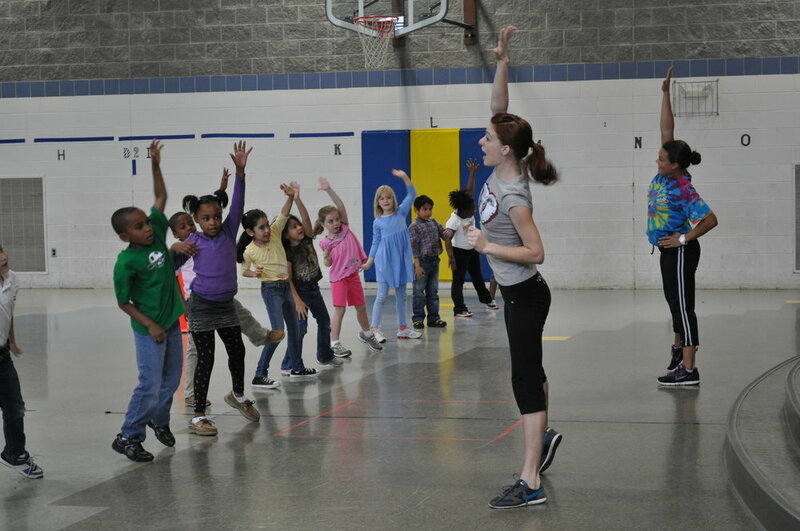 The Movement Workshop will target dance majors and dance students from local dance studios. The Community Lecture will discuss Margi Cole’s collaborative research methods in generating creative work. The target audience includes students from Women’s Studies, Film Studies, School of Music, Theatre and Dance, and English departments at both the high school and college levels. I received a portion of the requested funds and then partnered with University Programs as co-sponsors to make the event happen. I feel it was a great success in that we were able to introduce a new professional dance company to the Tuscaloosa community and expose our dancers to a unique collaborative process. We are constantly encouraging our students to work collaboratively with other artists and I believe seeing this concert helped the majors to see how much collaboration is used in the field and how successful it can be. We were also able to bring in a very diverse audience due to the subject matter of the concert. An audience survey showed 28 departments/programs represented from the UA campus. There were certainly persons who attended who might not usually attend a Dance Alabama or ARDT concert, so hopefully we also expanded our audience through showing something different. Click for the ASCA Grant Details PDF. The faculty fellows in service learning program debuted in 2007 as the first campus-wide effort to bring together an interdisciplinary group of educators for the purpose of developing service-learning courses. Housed at the Center for Ethics and Social Responsibility, this program features a one-year fellowship designed to accelerate the work of faculty members who are eager to foster the principles of ethical citizenship, social responsibility, and engagement with their students. The workshop covered theories, implementation, and assessment of academic service-learning and how to integrate this methodology into courses across disciplines. This program has led to an increase in the number of course opportunities for students, a greater number of meaningful partnerships between the university and community, and a more entrenched institutional presence for service-learning as a critical component of the University of Alabama experience. Click for the Faculty Fellows in Service Learning Grant Info PDF. In acknowledgement of the work I had done establishing a relationship between the University of Alabama Dance Program and the Tuscaloosa City Schools, I was awarded $2500 from the Community-Based Partnership board as well as $2000 from Target Corporation. Through the early years of the Dance Pilot program, I was able to establish strong ties with local elementary schools who are now serviced with dance classes by dance majors during Physical Education time through my DN403 Approaches to Dance Instruction service-learning course, as well as in various extra curricular and after-school activities.